As a new ‘writer’, I am always happy whenever I am published – be it online or some obscure indie journal. 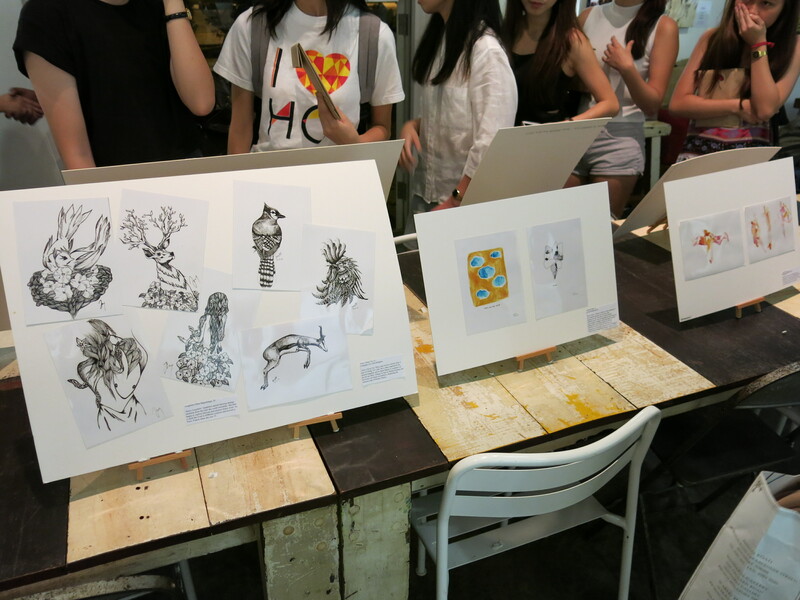 But to be featured in an exhibition is really quite another experience altogether. 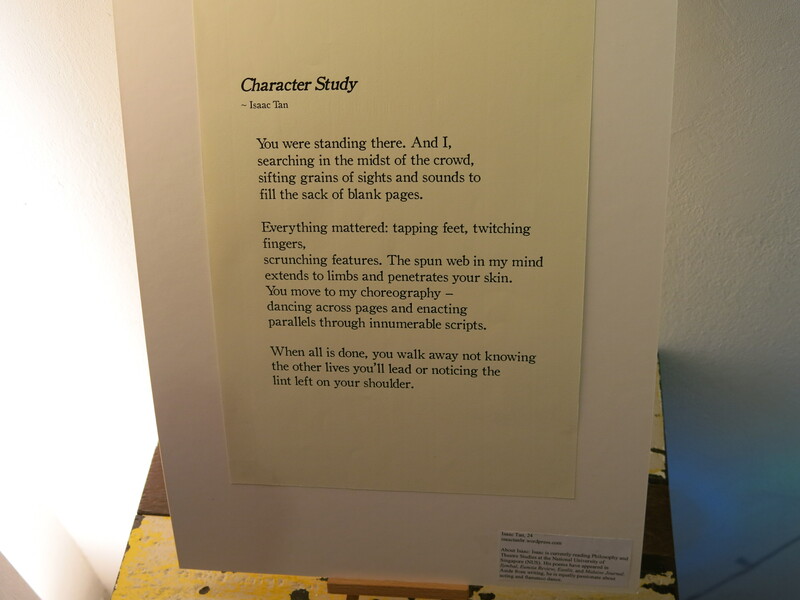 To see people walking about and looking at your work with some concentration (I would like to think) is really exhilarating and frightening at the same time. You start to get defensive just in case people do not like your work. Nonetheless, I do embrace this experience as it is all part of creating something. One’s work does not have a life if it stays in the bottom drawer. 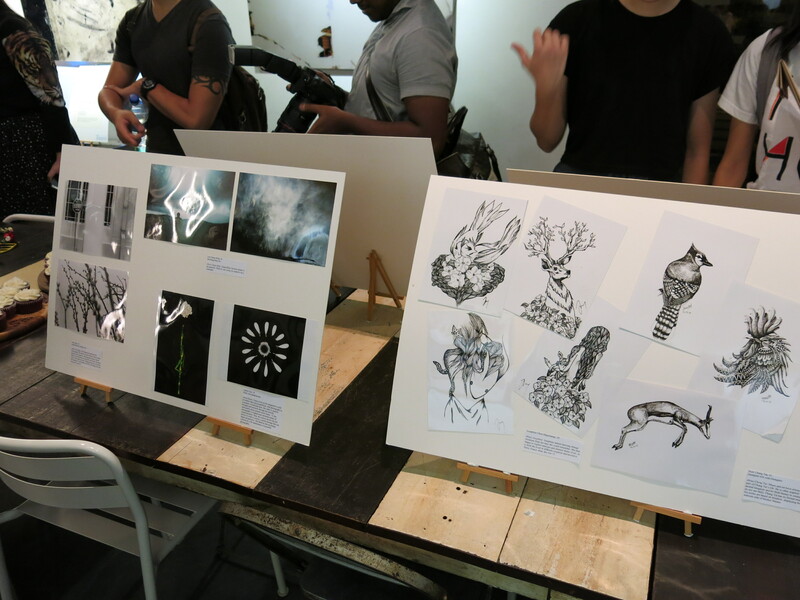 Looking at the other works on display, I must say that there really are a lot of creative talents here and most of these artists/writers are younger than me! I am glad that my work sits together with them. I do hope that the works by these artists will soon be framed with a little card at the bottom right corner stating the dimensions, material, and price. 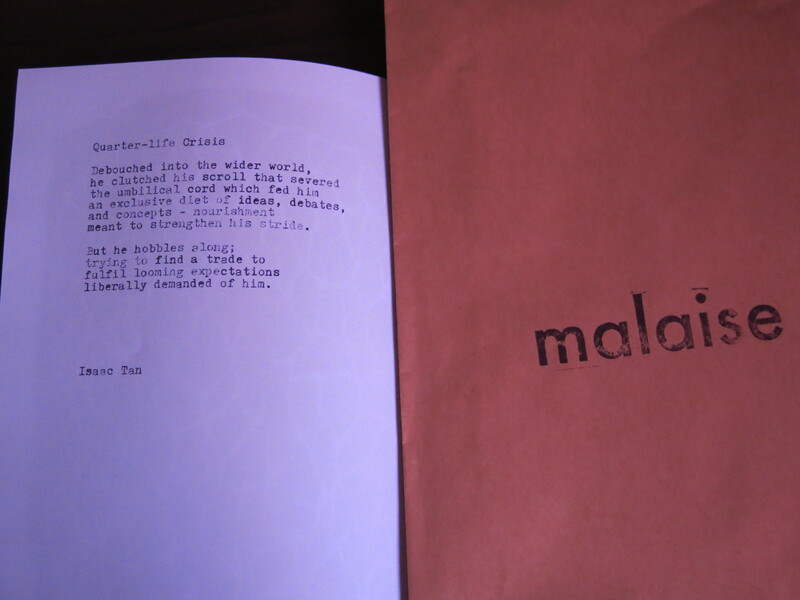 I am pleased to announce that my poem, Quarter-life Crisis, has been published in Malaise’s inaugural issue. I was quite surprised that it was accepted as this was dashed off quite quickly. Do let me know what you think of the poem! 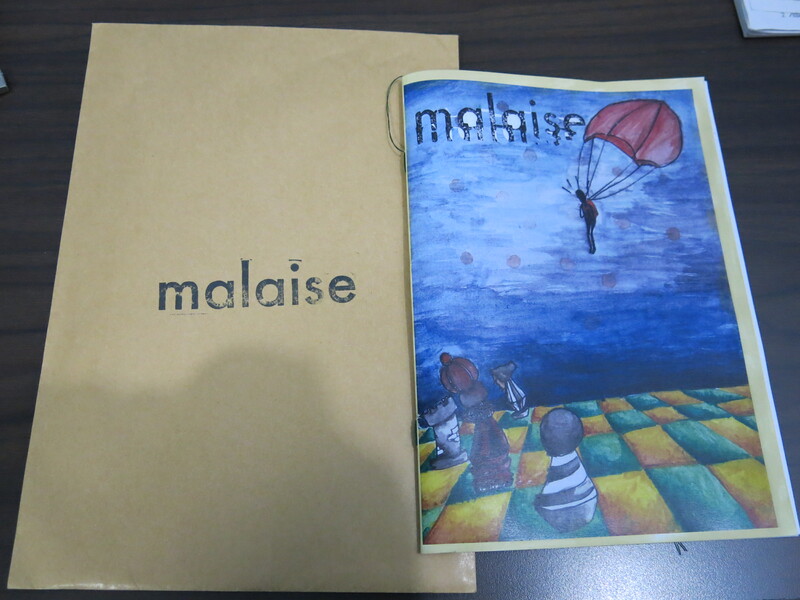 For those who are residing in Singapore, Malaise Journal can be purchased at Books Actually and Cat Socrates. Do hurry as this is a limited print run. 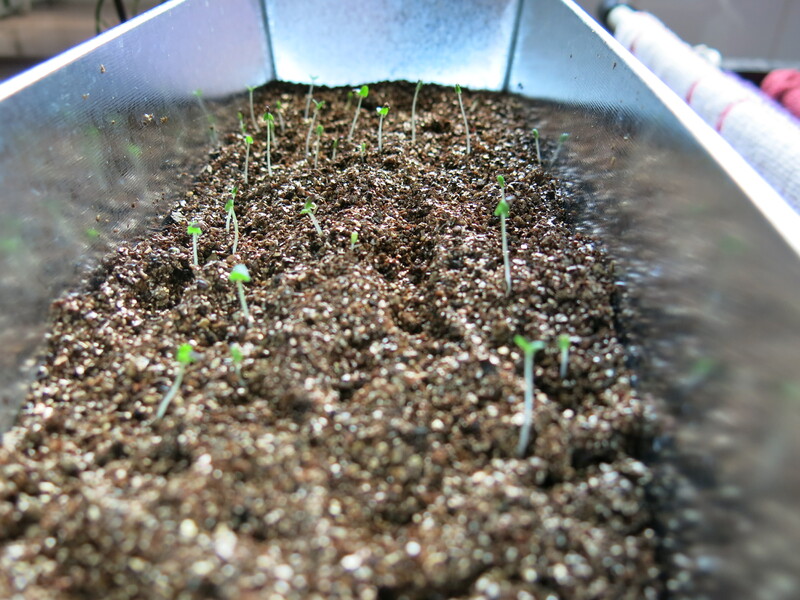 For those who have followed my blog, I apologise for the lack of updates. There will be a couple of posts coming up so stay tuned.